If you plan on heading to the beach to beat the heat this weekend, Take note two beaches are closed and two others have warnings due to high E. Coli bacteria counts. Both Sandpoint Beach and West Belle River Beach are closed. The warnings are at Cedar Island Beach and Point Pelee North West Beach. The remaining five beaches are all considered safe for swimming activities. 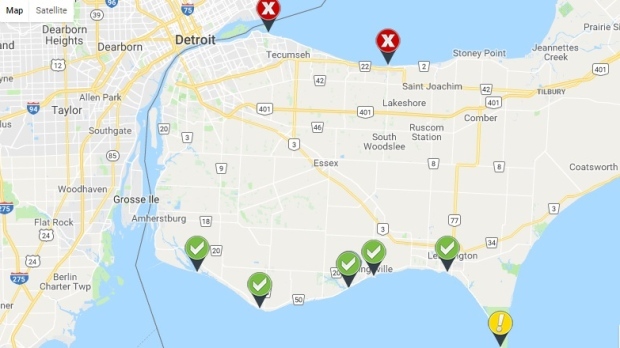 The Health Unit suggests if a beach is closed due to high E. Coli levels, it will be retested on Thursday of the same week and results of that test will be available by the weekend. The Health Unit also recommends swimmer discretion as water quality can change from the time of sampling. They recommend avoiding a beach within 48 hours of a heavy rainfall, if the water is cloudy, or if you're unable to see your feet in the water. Windsor police say a man has been taken into custody after a lengthy standoff in Remington Park.